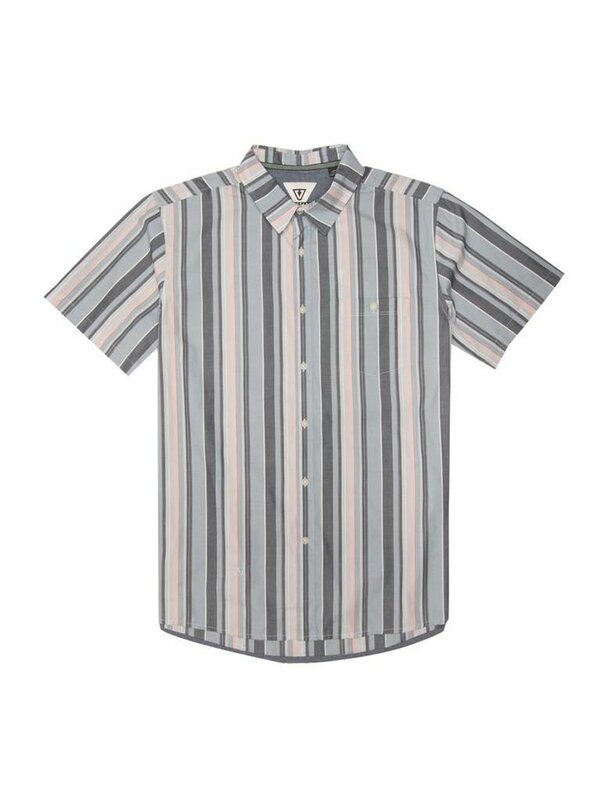 The Tubos is a vintagey short sleeve poplin vertical stripe yarndye woven. Featuring front chest pocket with button closure, Vissla embroidered logo and woven label trims, the Tubos has that timeless, surf-classic style. Sand Wash.